You asked and we listened! FREE for a limited time only, our newly established VIP Group is OPEN! All members of this group will receive our Reports FIRST – BEFORE the Crowd! 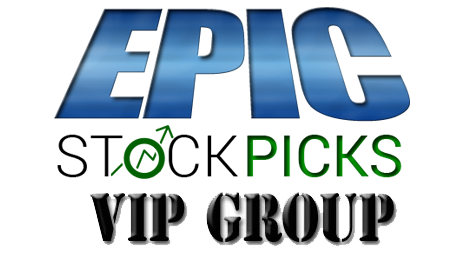 Subscribe today and take advantage of the Epic Stock Picks VIP Group! To ensure our emails do not go to your Spam Box (they will), please add "[email protected]" to your Safe-Senders List or Address Book.